No time to stop! 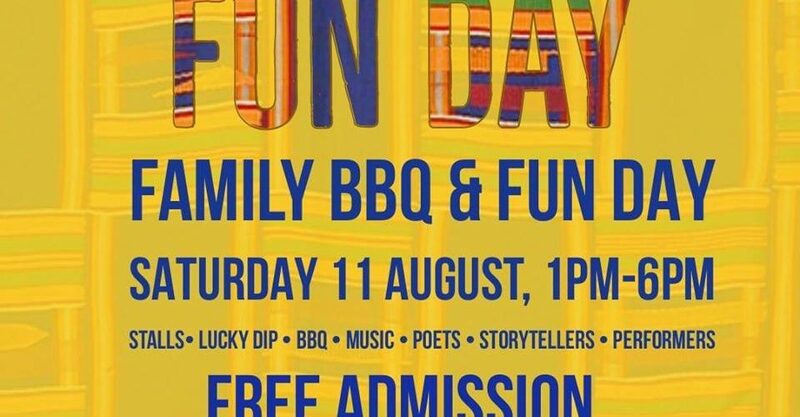 Ace Of Jacks Entertainments & Media are back in action and will be live at the Black Cultural Archives (BCA) Friends – Family Fun Day taking place at on Saturday 11th August 2018. Come and enjoy the annual summer event for a day of fun, food and entertainment including range of musical performances, poets, and storytellers live at the BCA. Ace Of Jzacks and Senior Nobleman will be hand to providing mood music as wel as hosting a number of young performers. Experience storytelling from Eli and poetry from Adisa. Historical Tour Curator Natalie Fiawoo will be on hand to share the incredible story behind the current exhibition – Family Ties. The exhibition focuses on how a British-Ghanaian family rediscovered their rich heritage and connection to royalty.